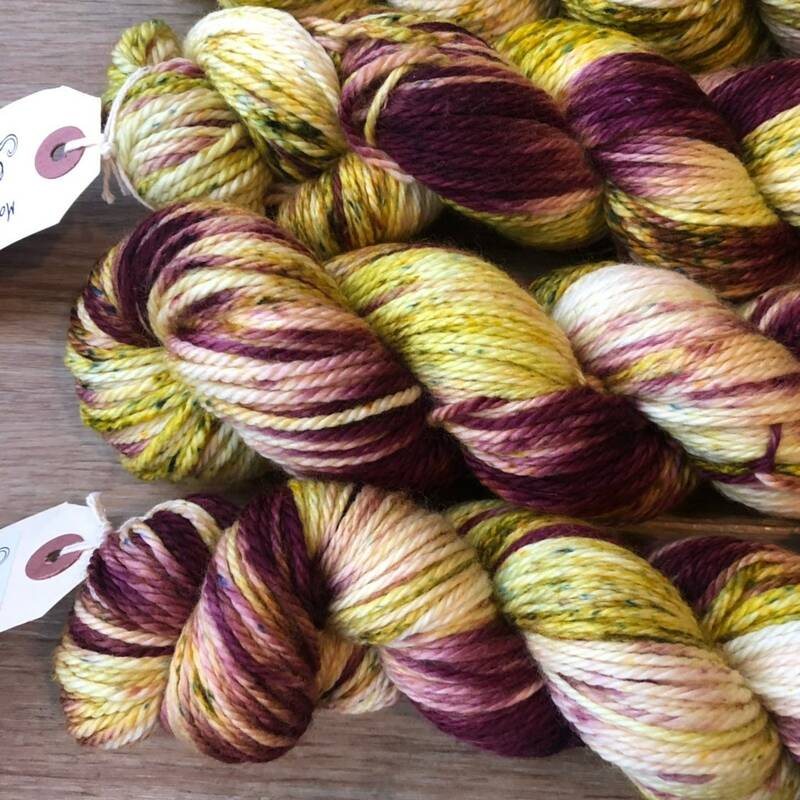 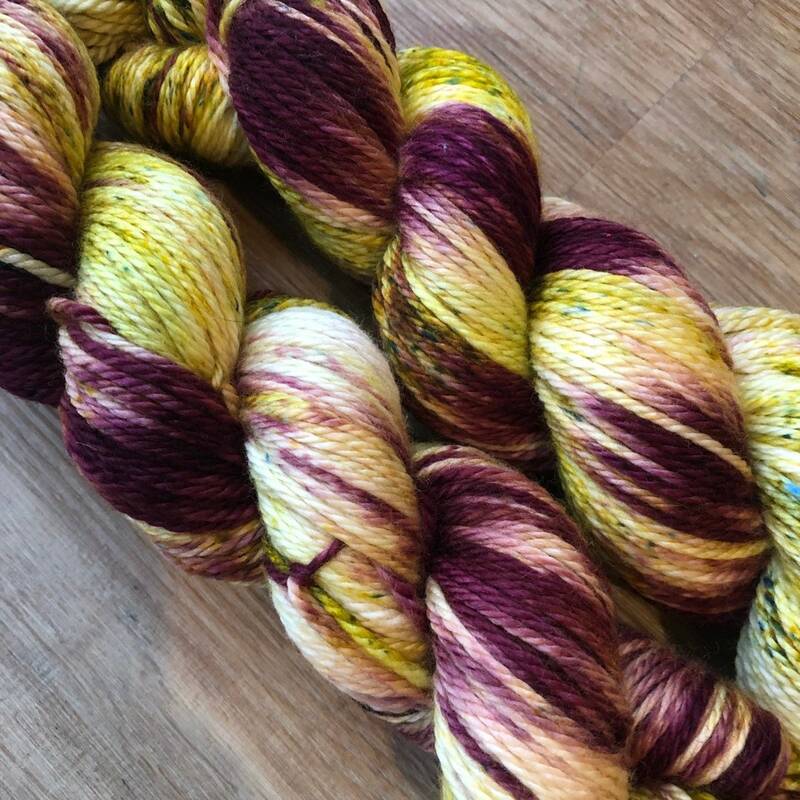 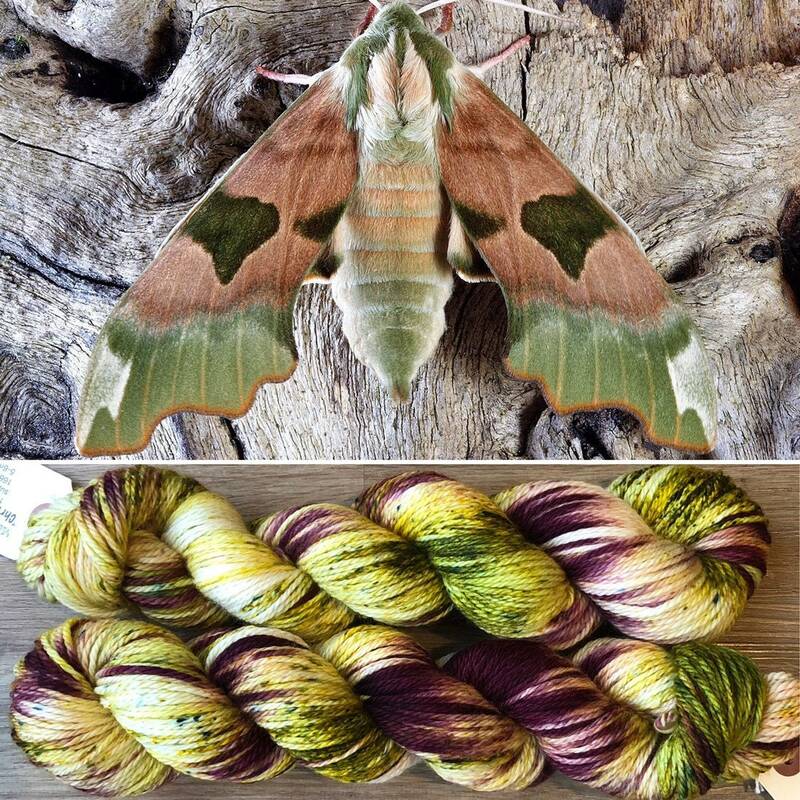 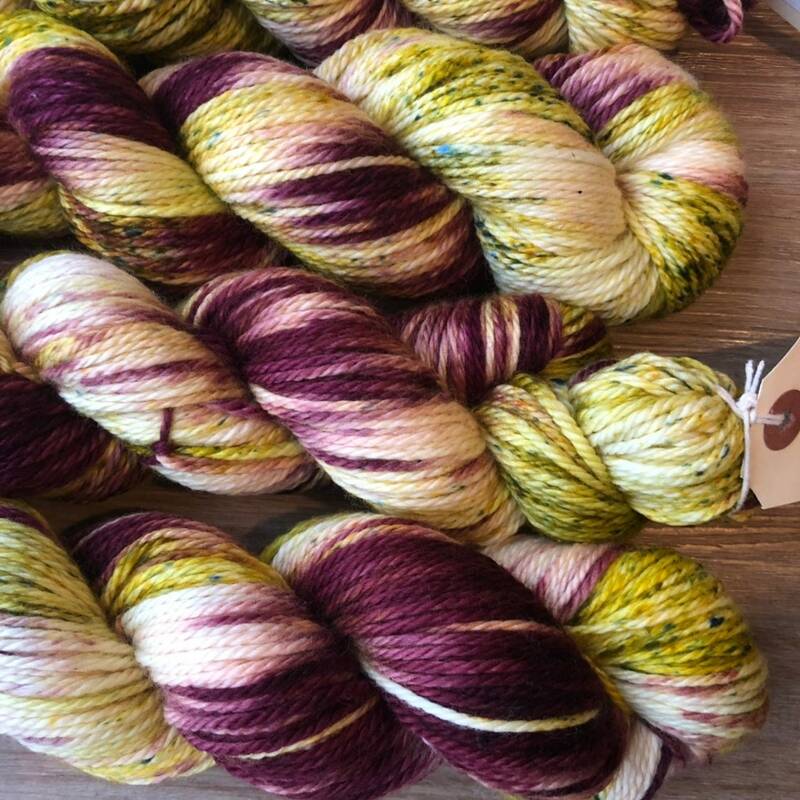 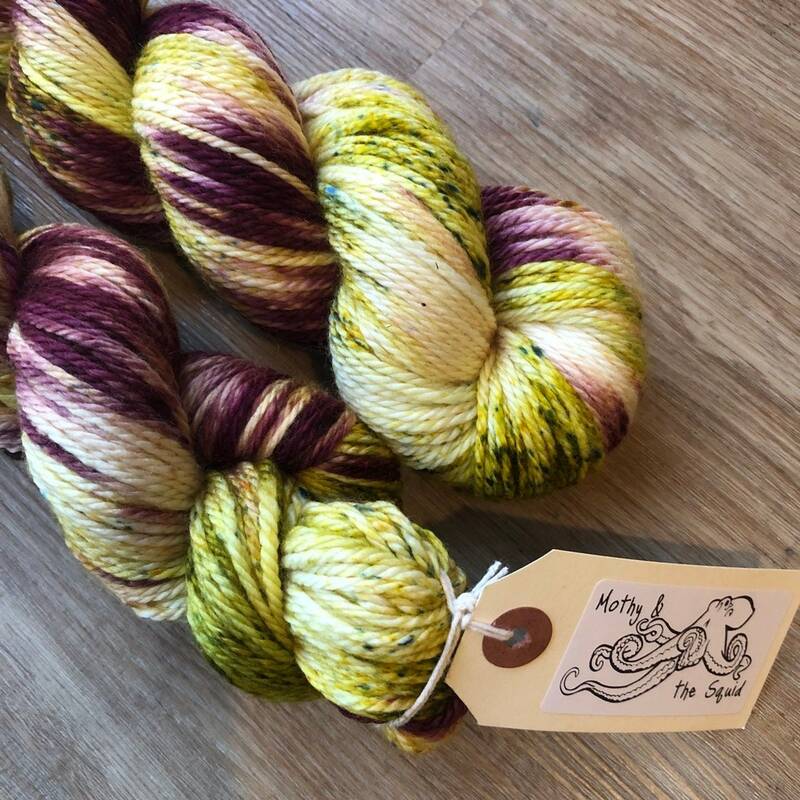 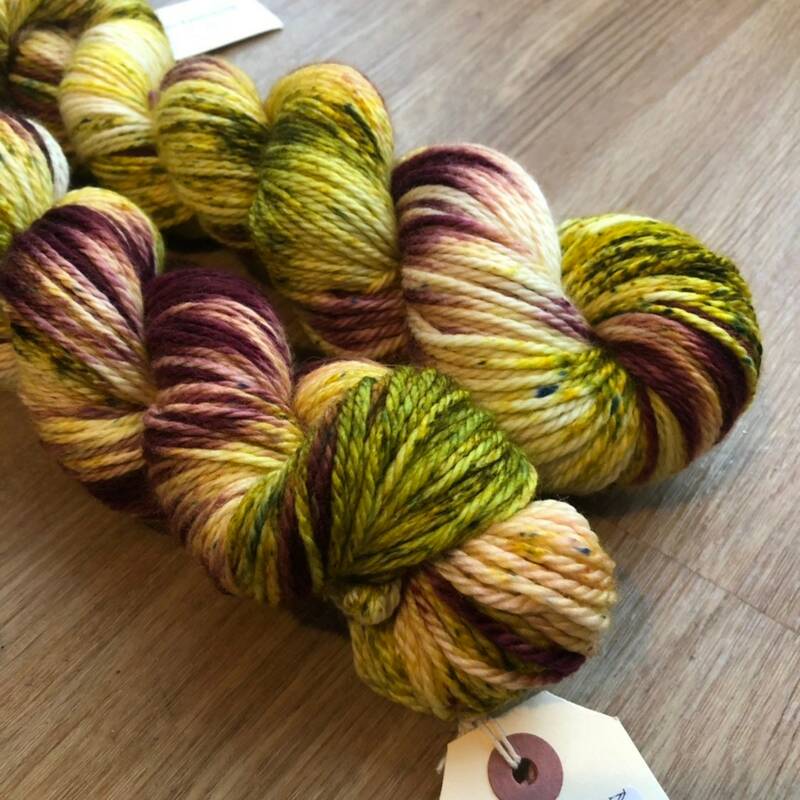 Using purple instead of dusky pink, with pretty green speckles, I have created a Winter limited edition for my Hawkmoth series. 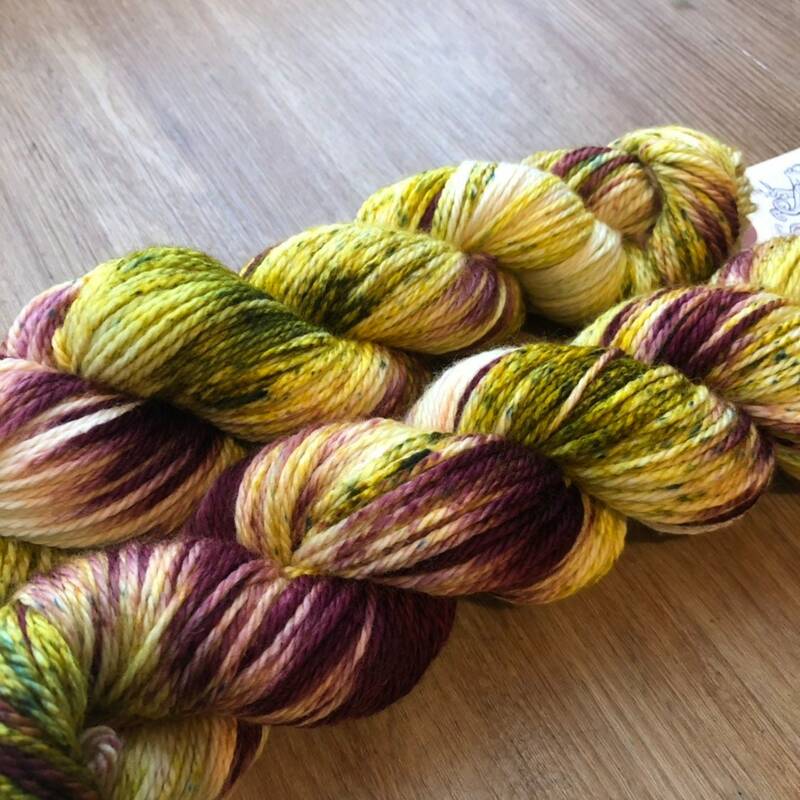 This is a superwash treated aran weight 100% merino yarn. 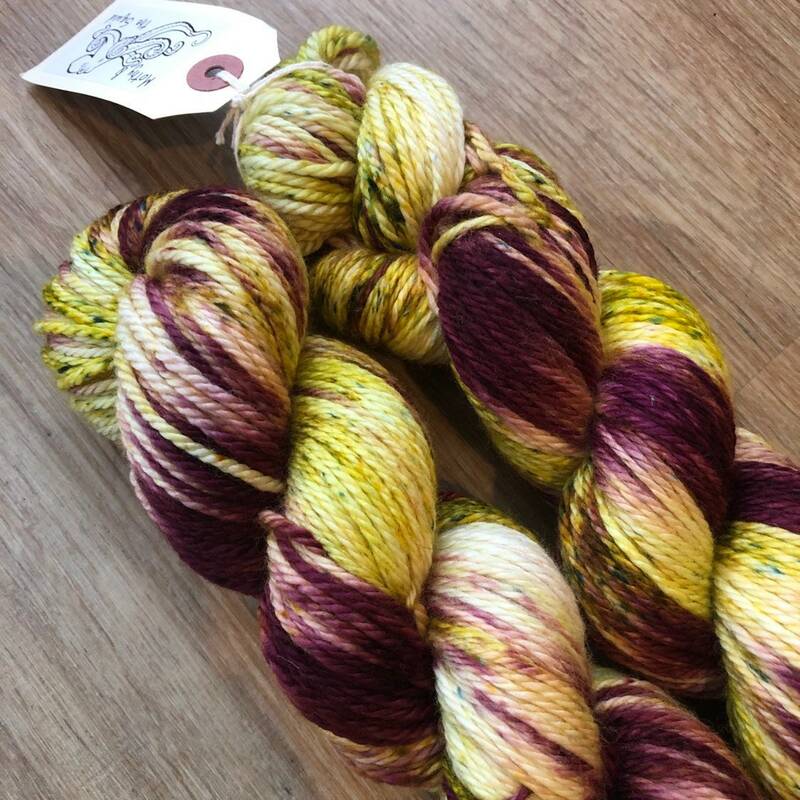 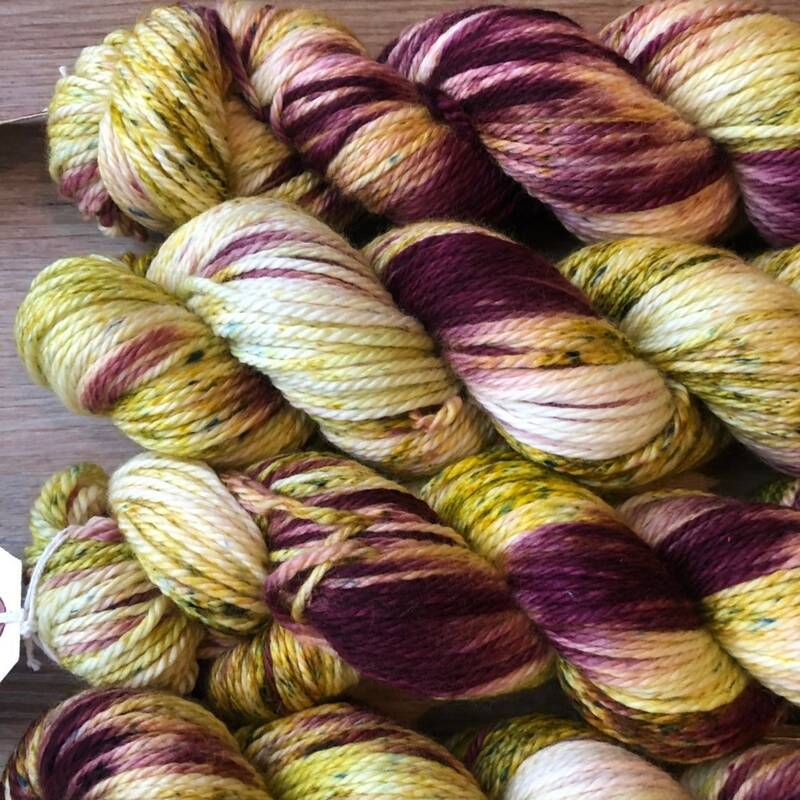 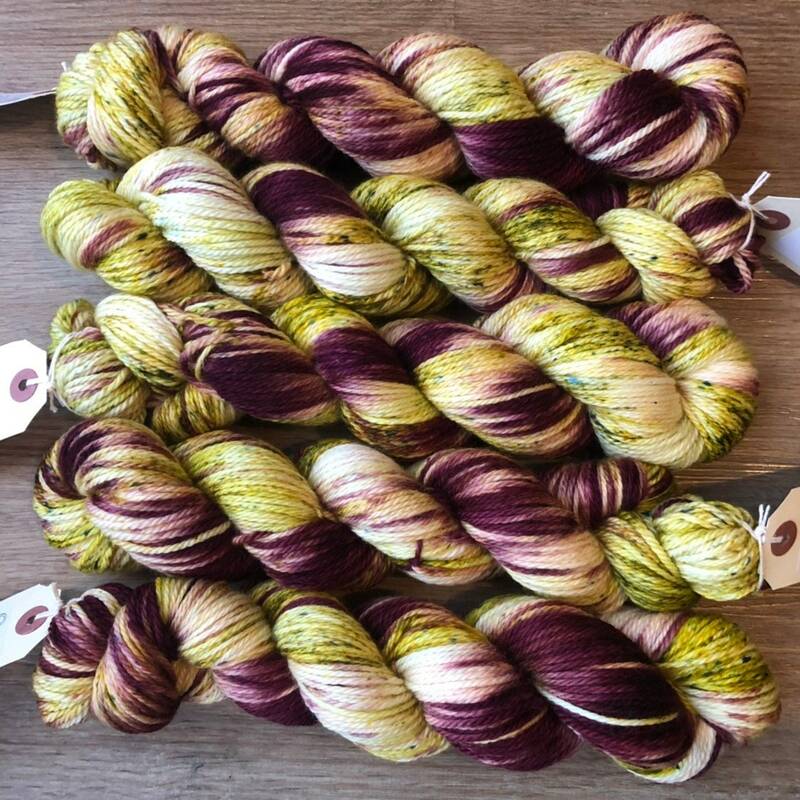 Around 166 metres per 100g skein.